In today’s world – whether viewed through a lens of educational attainment, economic development, global competitiveness, leadership capacity, or social justice and equity – diversity is not just the right thing to do, it is the only thing to do! Following the era of civil rights in the 1960s and ‘70s, the 1990s and early 21st century have seen both retrenchment and backlash years, but also a growing recognition, particularly in business and the military, that we have to educate and develop the capacities of our citizens from all levels of society and all demographic and social groups to live fulfilling lives in an inter-connected globe. For higher education that means not only increasing the numbers of diverse students, faculty, and staff, but simultaneously pursuing excellence in student learning and development, as well as through research and scholarship – in other words pursuing what this book defines as strategic diversity leadership. The aim is to create systems that enable every student, faculty, and staff member to thrive and achieve to maximum potential within a diversity framework. This book is written from the perspective that diversity work is best approached as an intellectual endeavor with a pragmatic focus on achieving results that takes an evidence-based approach to operationalizing diversity. It offers an overarching conceptual framework for pursuing diversity in a national and international context; delineates and describes the competencies, knowledge and skills needed to take effective leadership in matters of diversity; offers new data about related practices in higher education; and presents and evaluates a range of strategies, organizational structures and models drawn from institutions of all types and sizes. It covers such issues as the reorganization of the existing diversity infrastructure, building accountability systems, assessing the diversity process, and addressing legal threats to implementation. Its purpose is to help strategic diversity leaders combine big-picture thinking with an on-the-ground understanding of organizational reality and work strategically with key stakeholders and allies. This book is intended for presidents, provosts, chief diversity officers or diversity professionals, and anyone who wants to champion diversity and embed its objectives on his or her campus, whether at the level of senior administration, as members of campus organizations or committees, or as faculty, student affairs professionals or students taking a leadership role in making and studying the process of change. Strategic Diversity Leadership is a president’s ‘how to’ guide for engaging issues of diversity and inclusion in the academy. This book gives you the fundamental building blocks for defining your campus diversity and inclusion agenda, creating meaningful strategies, and establishing a foundation of accountability. It is one of the most important books ever published on diversity, and one that will remain pivotal reading for years to come. 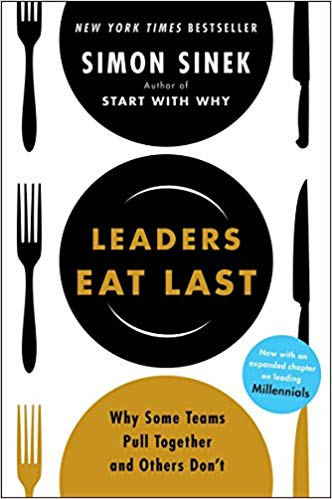 In this book, Williams melds a deep understanding of diversity with a sophisticated understanding of the nuances of leadership and organizational change. He delivers a blueprint of approaches to activating diversity plans, creating meaningful chief diversity officer roles, fostering accountability, and avoiding the pitfalls of leading change efforts on college and university campuses. This is an important book, which harnesses research and theory to lead real world change. This book will be helpful not only to chief diversity officers but, perhaps even more important, to educational leaders in general who are interested in building academic excellence and institutional competitiveness in a global marketplace. It provides a solid theoretical framework for understanding the issues and serves as a helpful resource to leaders as they develop and execute strategic initiatives.